On our recent trip to New Mexico we got to explore "the woods"--a place where John and Troy used to run and play when they were boys. We found the remnants of an old tree fort. While John couldn't say for sure if the boards were the ones he had placed, it was certainly the same tree that was the hideout in all of the imagined battles fought in the woods. The thing is that most all kids imagine. They spend time in a world that is as it could be. One where they are a hero. And in our childhood imaginings the good guys always win. Early childhood experts believe there is significance to this imaginary play. Just like baby tigers play at hunting to learn how to do it for real, the imaginary play of children trains them for the world ahead. It makes me curious though why the stories of our childhood imagining (and in fact the center of all fiction) involves conflict. The good guys fight the bad guys. It is as if that reality is written on our souls. And in all of our imagining we want the good guys to win. The Apostle Paul writes a letter to the Ephesians that says: "For we wrestle not against flesh and blood, but against principalities, against powers, against the rulers of the darkness of this world, against spiritual wickedness in high places." There really is a war going on...good vs. evil. An invisible one where we can't see the players, but we see the evidence...everything from ugly words between family members to full scale genocide. Fighting on the side of good requires unusual weapons: courage, hope, love and sacrifice. It requires an inordinate amount of strength. I don't know what is discouraging you today, but keep in mind, when you were in the tree fort, you never let the bad guys win. 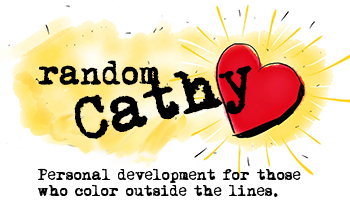 Insightful and uplifting, thanks Cathy!